Readers donated more than 1,000 toys to a Christmas appeal launched by two sister weeklies. The Goole Times and the Selby Times received more than 500 toys each for the appeal, and each newspaper will also donate a bicycle to go to a disadvantaged child on Christmas Day. The campaign has been run with local children’s centres and branches of Lions International. The toys have now been wrapped and distributed to less well-off families by children’s centre staff. 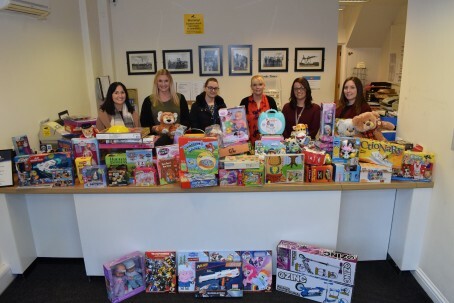 Kezia Buckley, acting editor, said: “It is fantastic that our kind-hearted readers have donated so many toys, once again, to our annual appeal. “Every year we are blown away by the generosity of our readers, who go out of their way to ensure that everyone has a gift to open on Christmas morning.